Joe Elliott's on the 'Hysteria' tour with Def Leppard and discusses their back catalogue, plus Brian Conley hosts a new TV series 'Buy It Now' on Channel 4. Steve and the team chat to Def Leppard frontman Joe Elliott about their back catalogue and their 'Hysteria' tour, and Brian Conley is the host of new Channel 4 series 'Buy It Now' as well as his own tour 'Still The Greatest Entertainer (In His Price Range)'. Plus there's Factoids, Non-Stop Oldies and the latest entertainment and lifestyle news. Harry Hill plus Serious Jockin'! Joe Elliott from Def Leppard: "We wanted to be the biggest band in the world." 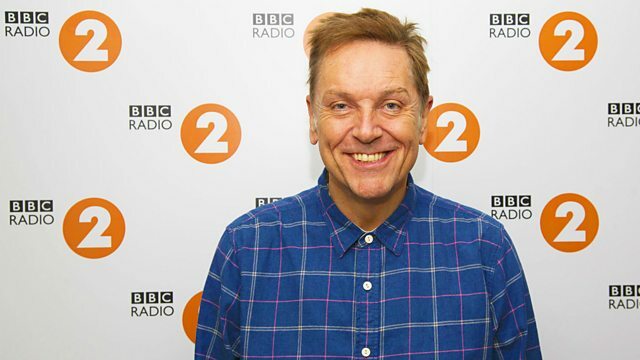 Brian Conley: "No matter what happens... that's it!" Light Years - The Very Best Of ELO. Ulli Wengers One Hit Wonder Volume 4 CD1. The Ultimate Sound Of Philadelphia. The Hits Album 6 (Various Artists). The Greatest Love (Various Artists). The Best Michael Jackson & Jackson Five. The Greatest Showman: Original Motion Picture Soundtrack. Acuff-Rose Opryland Music: 50th Anniv. Hysteria 30th Anniversary Super Deluxe Edition CD1. Philadelphia Years: Volume 1 1971-1976 (Various Artists).